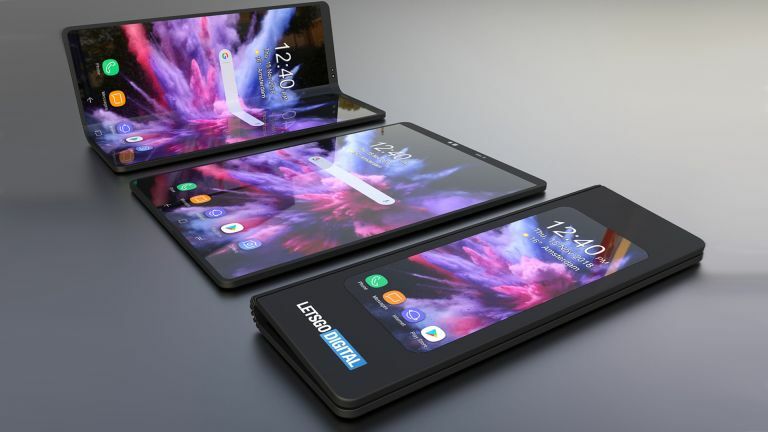 The Samsung Galaxy F, or Galaxy X, foldable phone is so close to becoming a reality after Sammy teased the Infinity Flex display. We know Samsung wants to release it in early 2019 but now it looks like you might be limited, to EE alone, if you want one. In an exclusive reveal by Gizmodo, it's been made clear that the Samsung Galaxy F, or whatever it ends up being called, will launch on EE – exclusively. Yup, if you want to get the folding phone on a contract you'll be limited to one network, so don't expect the deal to be cheap. That said, it could be a more affordable option than the alternative, which is buying it direct from Samsung. This will mean shelling out for what is likely to be a £1,000+ phone all at once. EE itself should offer both contract and SIM-free options. The same source that has revealed the EE partnership also said the handset should cost between £1,500 and £2,000. That variation in price will represent levels of the model with different specs like higher storage garnering that tip top price tag. Samsung is expected to launch the Galaxy F very early in 2019.